Former Seven News Editor Stuart Joynt remembers many events. One being the sealing of the Eyre Highway. The isolation of Perth was gradually being reduced by not only improved telecommunications links with the rest of the country in 1970, and flowing on from that the rest of the world through growing satellite traffic, but also the belated sealing of the Eyre Highway which crosses the continent, connecting the east to the west. It was finally completed in 1976. Keith kindly located considerable footage of the event. The opening of “In Eucla Tonight” and most of the documentary “No More Bulldust”. 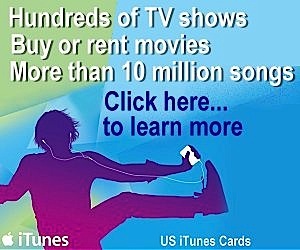 Sadly about an hour of the tonight show is lost and the conclusion of the documentary. This historic footage was preserved by Keith Spice and kindly converted for our use by Bob Finkle. Pic 2: L to R Keith Spice (leaning on the planes tail) next to Brian Smith and the woman on the right is Jane Reilly and the woman in the middle is Lyn Mortimer (production assistant) from SAS Adelaide. Jane is now weather presenter at ADS10. “Bob Pratt and I drove the SAS O.B. van from Adelaide. SAS provided the van with CCUs, TR60 VTR and Ikegami link. TVW supplied cameras and most of the crew. We had a very early start to set up for the SAS Earlybirds program, followed by the TVW Earlybirds. We then drove to Wigunda for the official opening. After recording the opening we drove back against a strong headwind to the border only just in time to feed out on the bearer to TVW and SAS. Word spread through CB radio about ‘In Eucla Tonight” and semitrailers lined both sides of the road for hundreds of metres. Dozens of tough looking truckies crammed into the dining room for the show. Then, I drove back from Sydney with my 9 year-old son in an elderly Hillman Super Minx in December 1972, when the S.A. side was still unsealed for three hundred miles. We scored a blowout, and we cheered when we reached the bitumen at the W.A. border. Sandy Baker started with TVW in 1971 presenting “Children’s Channel Seven” after Trina Brown married. Sandy was the children’s hostess when colour television was introduced in 1975. Percy Penguin was suited to black and white, being the colour penguins are. Sandy then introduced the more colourful Fat Cat, who soon became a national star. Sandy went on to host “Stars of the Future” and won three Logie Awards for being the most popular female on Western Australian television. On the morning of the Highway ceremony, Sandy presented the WA version of “Earlybirds” whilst Jane Reilly presented the SA show. Reg Whiteman brought Fat Cat to the event and fellow dancer, children’s performer, choreographer and senior producer Brian Smith (TVW 1969-1988) was there to coordinate the production. Keith McDonald was another performer there for the show. Senior director and producer Keith Mackenzie (TVW 1966-1982) not only directed the documentary “No More Bulldust” but also the tonight show component. The floor manager was Jeff Thomas (TVW 1971-2000) and the production manager John Lyons also took an active role. One of the live cameraman was Steve Lowe, with the documentary shot by senior cinematographer Michael Goodall. The multifaceted Keith Spice (TVW 1970-1989) worked many roles at Seven from studio and outside broadcast technician, videotape and telecine operator, editor and supervisor, presentation co-ordinator, operations supervisor and operations manager. Keith was also there to provide support, as was Tim O’Dea who filled the roles of engineering director and station manager (TVW 1976-2000). Engineering’s Peter Nicholls was present, as were a number of sister station SAS staff from Adelaide. Its interesting to note that Keith Spice worked in Engineering and Operations at TVW in Perth before transferring to Sydney as Seven Network Broadcast Operations Manager. In 1990 he was appointed Director of Production and Operations for ATN7 Sydney where he remained until moving to Global Television (based in Sydney) in 1999 as Chief Operating Officer. He retired from Global in 2003. In the process, Keith made the transition from technician and operator to senior management. In 1976, the popular Channel Seven Perth children’s hostess Sandy Baker was called on to assist Stuart Wagstaff present a tonight style show from the Western Australian and South Australian border, thousands of miles from anywhere. 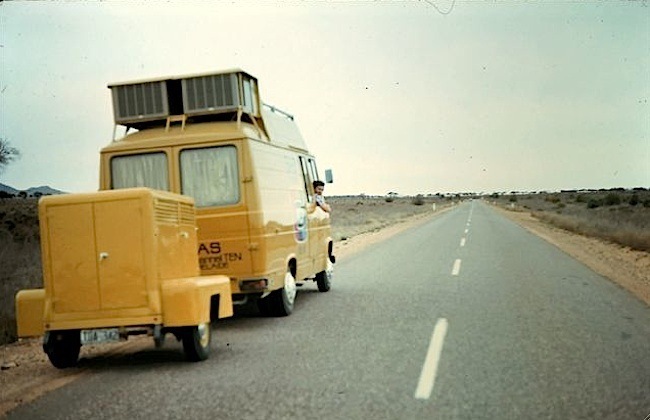 The occasion was the sealing of the final stretch of the Eyre Highway in 1976. 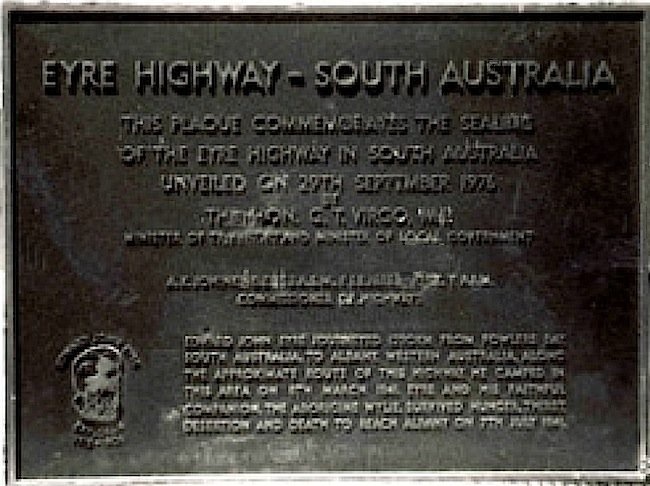 The occasion was the sealing of the final stretch of the Eyre Highway in 1976. Named after Edward John Eyre (1815-1901), the Eyre Highway was constructed during World War II. Eyre was the first European to cross southern Australia from east to west, travelling across the Nullarbor Plain from Adelaide to Albany. The almost 2000 mile journey in 1840-1841, lasted four and a half months. The Eyre Highway traverses the Nullarbor Plain (Nullarbor is latin for ‘no tree’) and is the main east-west link between Australia’s east and west coasts. The Nullarbor Plain itself is the world’s biggest piece of limestone, 200,000 square kilometres. The completion of the Eyre Highway was celebrated on 29 September 1976 at Wigunda, on the Nullarbor where the WA bitumen met up with the newly completed SA laid road. Western Australia had earlier completed their component in 1968 and pushed over the border into South Australia, into the region of Wigunda. Present at the opening were the WA Minister for Transport Mr Ray O’Connor and the South Australian Minister for Transport, Mr Geoff Virgo and Highways Commissioner, Keith Johinke. An early grader was left as a monument to the pioneering roadworks, with a plaque attached marking the sealed completion of the Eyre Highway. The grader was located at the scenic lookout rest area MM132.68 on Eyre Highway near Wigunda Microwave Tower, approximately 53 km west of Nullabor. Unfortunately vandals later removed the plaque and by 2003, the badly corroded grader was scrapped. 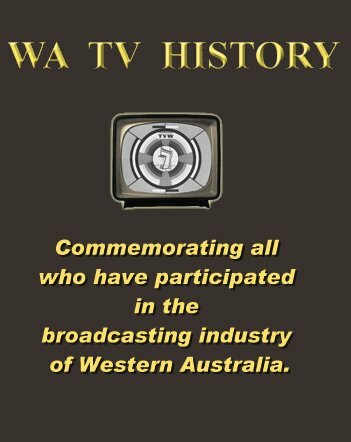 “In Eucla Tonight” was a live television outside broadcast mounted by Perth’s TVW and its sister station Adelaide’s SAS to commemorate the sealing of the Eyre Highway between Western Australia and South Australia. People from all around assembled on one cold windy night at the Border Village roadhouse right on the border of both States. 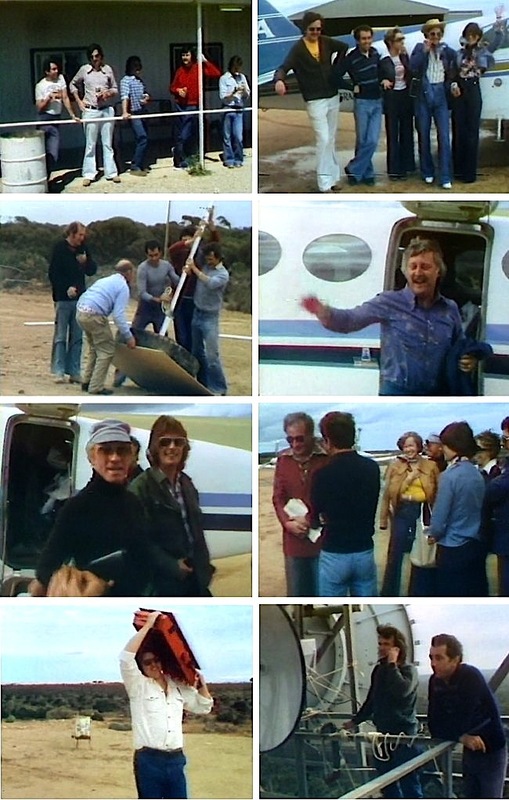 “In Eucla Tonight” was a live television outside broadcast mounted by Perth’s TVW and its sister station Adelaide’s SAS. The show was hosted by Stuart Wagstaff with help from Sandy Baker. A documentary titled “No More Bulldust” was broadcast in the midst of the show to give a glimpse of how travel had improved from the time when the route was nothing but a potholed gravel road, often filled with a fine red dust known as “Bulldust”. Earlier in the day, an open-air ceremony on the back of a truck was attended by politicians from both States. This was conducted at the point the Bitumen joined, at 160 kilometres into South Australia. 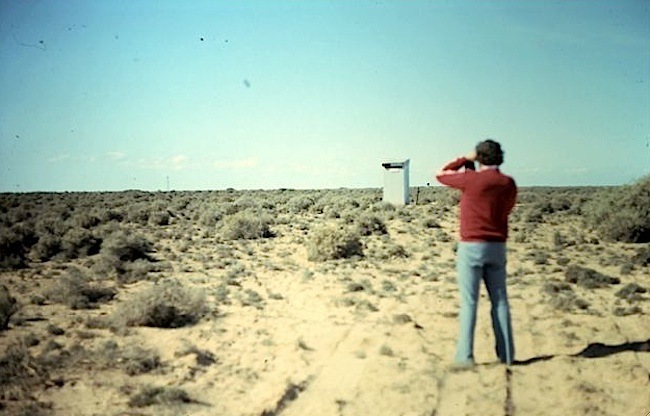 This presentation was recorded, then transported back to a microwave link established at the Border Village, for transmitting 12 kilometres to a Telstra tower at Eucla, where it connected to the interstate broadband microwave system to enable the content to reach Perth and Adelaide. Though named “In Eucla Tonight” that evenings live show was actually held at the border near Western Australia’s Agricultural Quarantine Checkpoint. The venue was the Border Village roadhouse, located 12 kilometres east of Eucla and 1,455 kilometres from Perth. The Nullarbor Links spans two time zones and two states, South Australia and Western Australia, to measure more than the entire length of Britain. Golfers will stop at one roadhouse, play a hole, then drive on to the next tee – 100 kilometres (60 miles) down the road in some cases. The eighteen holes spread over the 1,365 km (848 miles) long golf course, which was opened in 2009 – A par-72 course that can take three or four days to complete with each player awarded a certificate. The course was the brainchild of Bob Bongiorno, who was managing a roadhouse at remote Balladonia when he came up with the idea. The idea was developed through discussions with a group of roadside businessmen, who wanted to slow down motorists as they crossed the plain. Rather than watch them hurtle down the highway, they preferred them to stop, take in the sights and spend some money. Hole 12 at Balladonia is named ‘Skylab’, as the United States National Aerospace Agency (NASA) space research laboratory re-entered the atmosphere and landed in fiery chunks around Balladonia on July 1979. The local shire ranger (Mr David Somerville) was photographed by the National Geographic Magazine, giving the director of NASA a littering ticket, which received huge international coverage (the council later waived the fine). A fuel tank from Skylab is on display at the 12th hole. It is claimed that the then US President (Jimmy Carter) personally rang Balladonia Hotel Motel to apologise for Skylab falling on them. “We did Earlybirds live for SAS then TVW on the morning of the opening. Which would also explain the presence of Sandy, Fat Cat, John Lyons and the Adelaide crew. And I’ve just remembered something that kept the crew amused when they weren’t working (aside from having a few beers), and that was the story (hoax as it turned out to be) about the Nullabor Nymph. It was a prank that successfully garnered much publicity to attract tourists through the area. 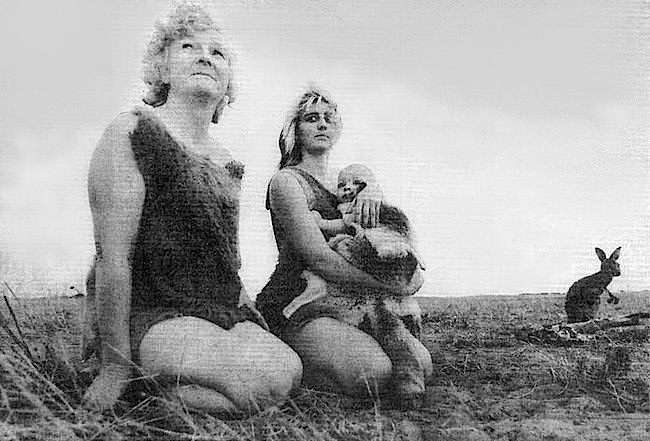 The bogus claims that a feral blond, white woman was seen amongst the kangaroos, was seemingly backed up by some grainy amateur film showing the scantily clad woman holding a kangaroo by the tail. After further sightings were claimed, the story was reported around the world, and journalists descended upon the tiny town of Eucla. Even the BBC sent a full TV documentary crew. 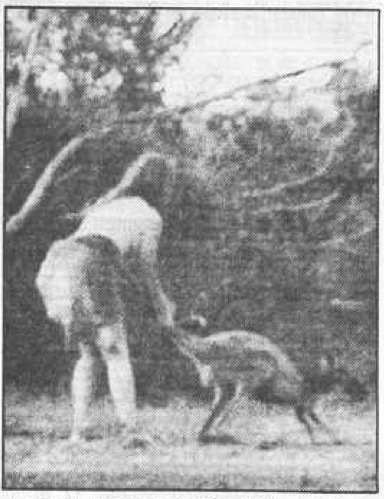 “Everyone wanted to find the nymph and all the time she was there, right under their noses, serving them tea and coffee at the roadhouse”, said Laurie Scott, one of the kangaroo shooters who started the hoax and who is now married to the nymph, as reported by the Advertiser Newspaper. Other veterans who contributed to this story include Keith Mackenzie, Richard Ashton, Darcy Farrell, Jeff Thomas, Ron Christie and Ian Stimson. Hi there, we are desperately trying to find the wording on the plaque that was attached to the old grader which was at Widgunda. I see this photo there but the wording isnt clear enough to decipher. Does anyone have a better copy of this plaque by any chance??? with thanks, Sue, Ceduna.